Where, oh where do I start? I have no idea but I know one thing: if I could give this book a million stars I would. I so, so, so would. 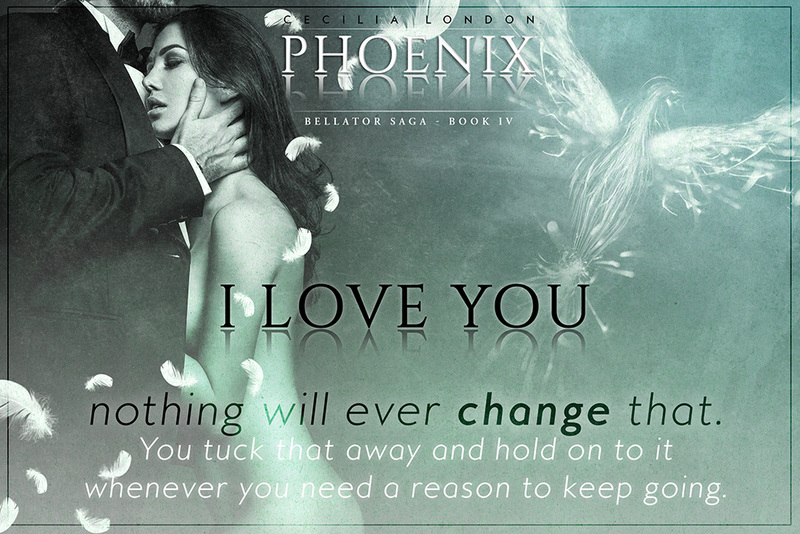 When Sojourn came out I said it was my favourite book in the series and then my ARC of Phoenix landed on my Kindle and swiftly took over as my number one book in this series. I honestly have no clue where to start, Caroline is in a dark place after the hell she faced at the hands of The Fed and is finally back with her husband, something she never thought would happen, but she isn't with him how she used to be. I knew Caroline was broken but this book just shows you how broken she is, her physical wounds may have healed as best they can but she is in a bad place mentally (that is an understatement). She pushes everyone who attempts to help her, including her husband, away and it broke my heart. 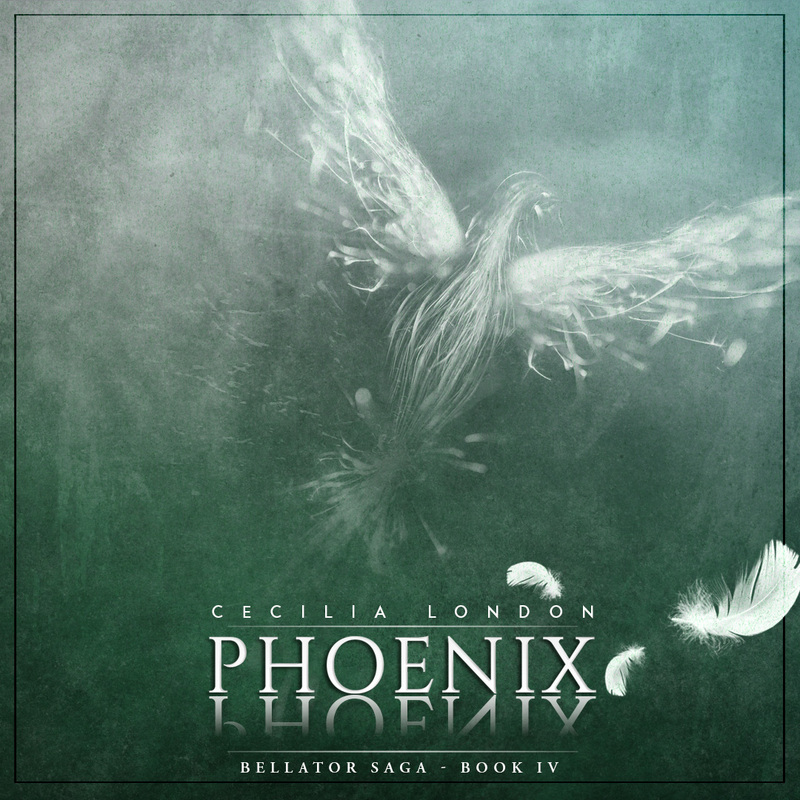 Cecilia pulls all the punches in this book, there is so much raw, emotional angst and it killed me. I have to admit, at times, Caroline tested me. The amount of times I wanted to reach into the book and slap her were countless but in the same breath I also wanted to comfort her. She was fighting so hard and it was hard to read but she did everything she does in this book as a way to protect herself. And then there was Jack. Oh Jack... if you like your hot male leads, you will love him. This book is Jack's book, you see a side to the man you never have and my heart broke for him just as much as it did for Caroline. This man, who had lived so many months believing his wife was dead, had her back but not in the way he ever envisaged. Don't get me wrong, he had his moments, and sometimes I wanted to slap him too but mostly I wanted to comfort him. Throughout these books, we have never really seen this side to Jack. He is so vulnerable, he is trying to keep it together while leading a rebellion and fighting to have his wife back and he struggles, you get to see a lot of his struggles when he's with Natalie, the doctor who is helping both him and Caroline. He isn't perfect but he is awesome in this book. Seeing his vulnerability laid bare killed me. He has the patience of a saint, and I think he takes everything Caroline throws at him (almost - there's one point where it's too much even for him, and that was a particular slap Caroline moment) because, deep down, he knows she will come back to him. Gabe, Jones and Crunch are back in this book and they were amazing. They were as funny as well as protective as they were in the last book. There's a scene in this book where Caroline is arrested and one of her triggers for her blackouts is used on her. The guys are there and fiercely try to protect her. She means so much to them and nothing showed this more than this part of the book and, coupled with Jack's reaction when Caroline was brought to him, it was heart-wrenching to read. I wanted to hug them all! I do have to say something about Natalie who I mentioned above. She really is amazing and she helps both Jack and Caroline with their demons and I really loved her. I hope we get to see a lot more of her in the books to come. I really think there is room for her to be a big part of Caroline's life if she lets her in. 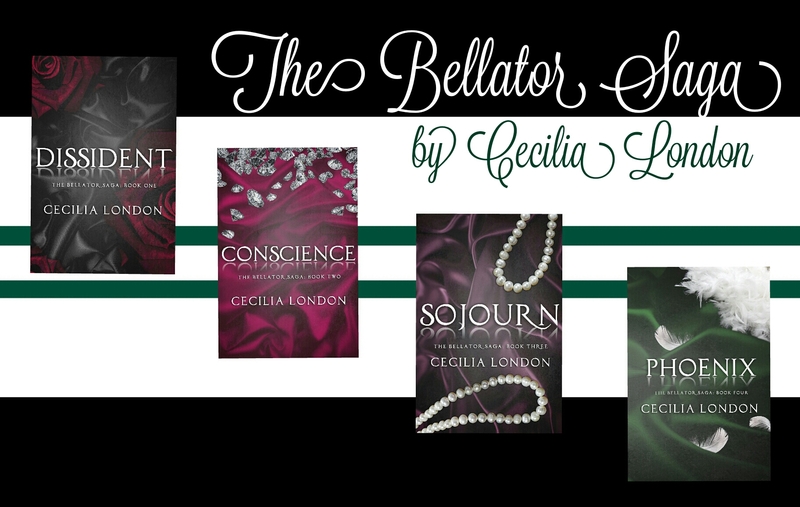 Cecilia certainly knows how to write a book that is equally gut-wrenching as it is heart-warming. For every gut-wrenching moment in this book, there is a powerful heart-wrenching moment. I just couldn't leave this book alone and just wanted to keep going (I stayed up until 1AM the other night reading it, but I blame Jack for that, he's hard to say no to). Just like last time we see flashbacks and they broke my heart, you see how happy they used to be versus where they are now and I just wanted to lean in and hug them both after reading those! Oh and the end. The FREAKING end! Cecilia warned me when she first got in contact that each book would end with a cliffhanger but nothing prepared me for this one. I had a feeling something would happen so I read the last few pages of this book with my heart in my mouth and then I got there and wow! I need the next book now! Evil cliffhanger is evil! This entire series has broken my heart but I have loved it. At the end of Sojourn, the last book in the series, I had such hope for Caroline that, finally, she would get some semblance of happiness and Phoenix is the start of that (again - I hope!). I can't wait to see what the next two books hold for not just Caroline but for Jack and her friends too.